Video format: Dance recording using an HD camera. Data saved in .MP4 (MPEG-4 part 10 H.264) or .FLV (flash) format. .C3D format: stored 3D coordinate information, analog data and associated information as it is recorded from the motion capture system. More info can be found here. Actor (.FBX) format: the motion of the performer is saved as an actor. 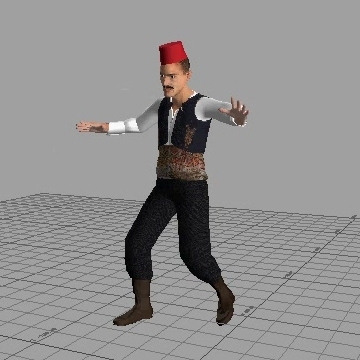 Any virtual character (avatar) can be incorporated to perform the dance. This format is compatible with Adobe MotionBuilder, 3Ds Max, Maya, Unity3D etc. 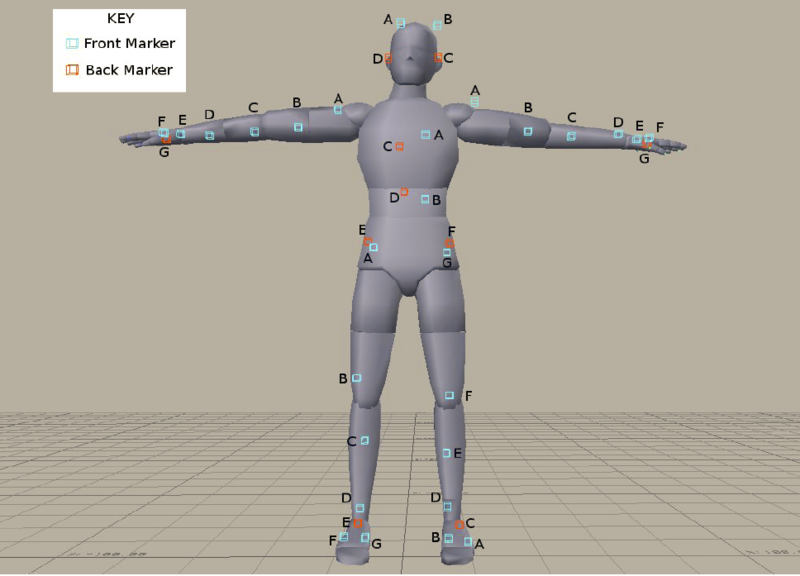 Character (.FBX) format: A virtual character has been incorporated to the actor. The character cannot be removed. This format is compatible with Adobe MotionBuilder, 3Ds Max, Maya, Unity3D etc. .RPD format: The PhaseSpace .RPD format that is stored 3D coordinate information, analog data and associated information (including cameras, rigid bodies etc) as it is recorded from the motion caprue system. The .RPD files are available upon request. How is the data motion captured in your Lab? 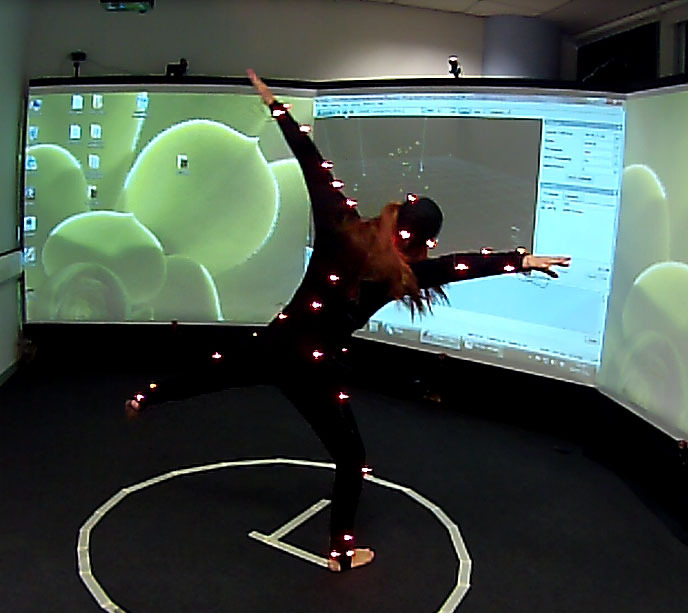 We have a Phasespace Impulse X2 motion capture system consisting of 8 double array cameras that are able to capture 3D motion using modulated LEDs. These cameras contain a pair of linear scanner arrays operating at high frequency (480Hz) each of which can capture the position of any number of bright spots of light as generated by the LEDs. Motions are captured in a working volume of approximately 4m x 6m. The capture subject wears a mocap suit of 38 markers and a stylish black garment. 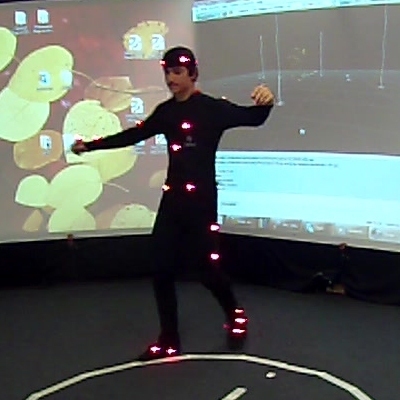 The motion capture data may be copied, modified, or redistributed without permission. Please read the copyrights statement before downloading. Disclaimer 1: We do not guarantee the quality of the data. Disclaimer 2: Data classification is provided to assist users. 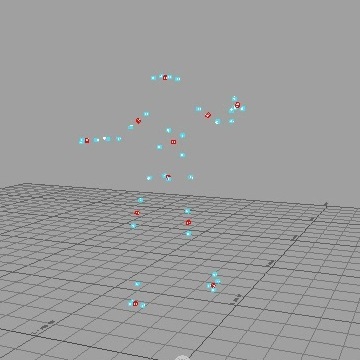 The sincerest efforts have been to describe and categorize our motion data, so as to be generally helpful to all motion capture data seekers. However, as all motions are subject to individual interpretation, we cannot be held responsible for inaccuracies or mispresentations of data, arising from our classification. 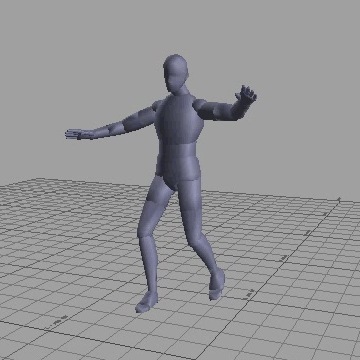 If you have any dance motion captured data, dance-related information or mocap/animation code that you think would be useful to other people, please contribute. We will be happy to link to it, or host it right here.